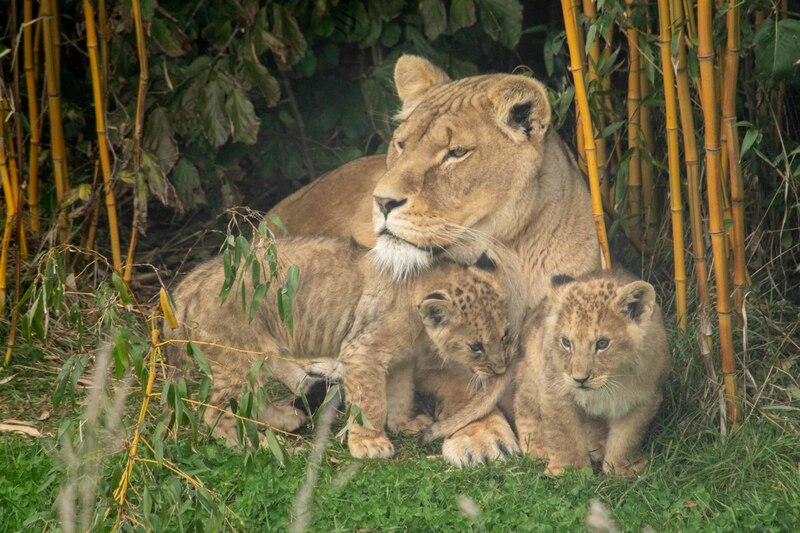 It's double trouble here at the zoo as our vet has confirmed that our two boisterous lion cubs are both in fact boys. Up until now the keepers have had no interaction with the cubs as they decided to give mum, Arusha, space to bond with the cubs in private. However at 10 weeks old the two cubs needed their first set of vaccinations. It was also important that the vet could give the cubs an initial health check. It was not an easy task separating mum from the cubs however the experienced keepers enticed mum, Arusha away with some food whilst they carefully checked the two cubs over. The cubs were both weighed, sexed and the vet listened to their heartbeats. Now that we know the lion cubs are both boys they need some names. This is where we'd like your help! Masai and Arusha are both named after places in Africa. We'd like to hear your name suggestions along this African theme. Submit your names on our Facebook page and we'll pick our favourite two from the list. The winners will get the exciting opportunity to take part in a Big Cat Experience with Khan the Tiger at the zoo.